It can be very difficult to know whether any particular pair of frames will fit you. Our frames fit the average face. Some of our frames are more narrow or more wide for people who need it. If you already know your size from glasses which fit you well, you can try matching that size. But even a frame with identical measurements may fit differently. So rather than expect to find the perfect frame the first time, it is better to create the expectation that the first frame may not be perfect. Instead, it will be the frame that you use to trial the lenses, to determine if they will work for your needs. I recommend trying a non-prescription lens in our frames for about one week to see if the tint works for you. 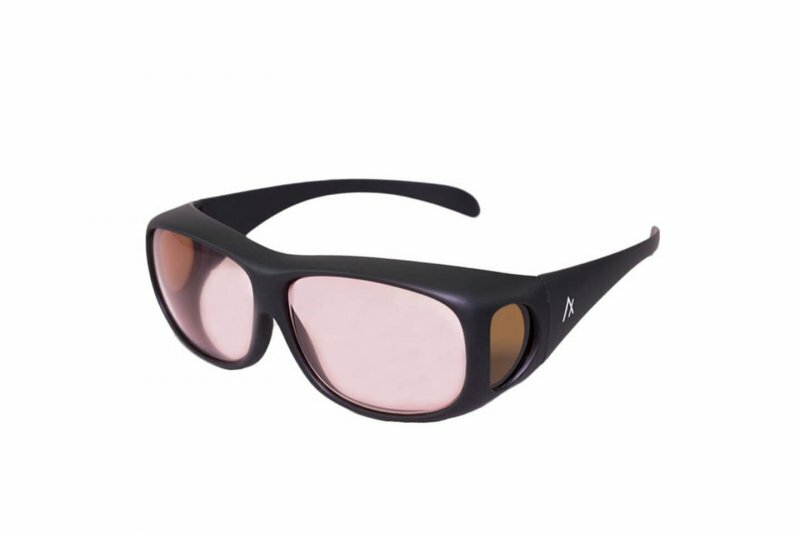 If the tint does not work for you, you can return the glasses to us for a refund minus shipping costs. If you do not wear prescription lenses, you can choose any of our styles with non-prescription lenses as your trial pair. Non-prescription lenses in our frames can be returned within 30 days of purchase in new condition for a refund of the product price minus shipping. One week is the perfect amount of time to try out our lenses. If they haven’t worked after one week, they aren’t likely to help you. All Axon Optics frames and Axon Optics lenses include a one-year warranty. Both lenses and frames can be replaced once within the first year after date of purchase. Clearance items cannot be returned. Please visit our FAQ page for additional information.